Vehicle in transit expected arrival Mon 25th March. Supplied with 2 full remote keys. MOT until DEC 2019. Full service history with the last service carried out at 75408 miles. 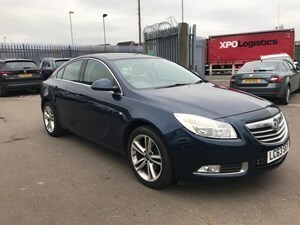 Lovely clean Insignia with air conditioning, alloy wheels, cd player, cruise control, climate control, bluetooth, tinted glass, isofix and much more.